The evolutionary origins of yellow fever most likely lie in Africa. It is thought that the virus originated in East or Central Africa and spread from there to West Africa. When an outbreak of yellow fever would occur in an African village with colonists, it would wipe out nearly all the Europeans, while leaving the native population with usually nonlethal symptoms resembling influenza. The virus as well as the vector A. aegypti were probably transferred to South America by ship. The first recorded outbreak of the disease was in 1648 in Yucatan, where the illness was termed xekik (black vomit). At least 25 major outbreaks followed. In colonial times and during the Napoleonic wars, the West Indies was a particularly dangerous posting, and both the English and French forces posted there were decimated by the "Yellow Jack". Napoleon had his eye on conquering the New World, and sent his brother-in-law in command of an army to seize control of Haiti, but over 27,000 of his troops perished of the "Yellow Jack", including their commander. An outbreak as far north as Philadelphia in 1793 resulted in the deaths of several thousand people and forced the administration to flee the city, including president George Washington. Yellow fever epidemics in North America have caused some 100,000-150,000 deaths. Major outbreaks have also occurred in southern Europe. Barcelona suffered the loss of several thousand citizens during an outbreak in 1821. St. Matthew's German Evangelical Lutheran Church in Charleston, South Carolina suffered 308 yellow fever deaths in 1858, reducing the congregation by half. In 1873, Shreveport Louisiana lost almost a quarter of its population to yellow fever, and in 1878, about 20,000 people died in an epidemic in the Mississippi River Valley. The last major U.S. outbreak was in 1905 in New Orleans. In 1878 Memphis was hit with an unusually large amount of rain, which led to an increase in the mosquito population. The result was a huge outbreak of yellow fever. The steamship John D. Porter took people fleeing Memphis northward in hopes of escaping the disease, but the ship was not allowed to disembark due to concerns of spreading yellow fever. The ship roamed the Mississippi for the next two months before unloading her passengers. 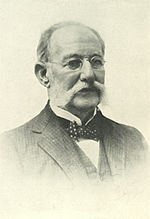 Carlos Finlay, a Cuban doctor and scientist, first proposed in 1881 that yellow fever might be transmitted by mosquitoes rather than direct human contact. 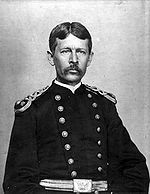 Since the losses from yellow fever in the invasion of Cuba in the 1890s were thirteenfold higher than the losses due to military operations, further experiments were conducted by a team under Walter Reed that successfully proved the ″Mosquito Hypothesis″. Yellow fever was thus the first virus shown to be transmitted by mosquitoes. The physician William Gorgas then applied these insights and eradicated yellow fever from Havana, and fought yellow fever during the construction of the Panama Canal – after a French effort to build the canal had failed due to, among other reasons, the high incidence of yellow fever and malaria. Although Dr. Reed received much of the credit in history books for "beating" yellow fever, Reed himself credited Dr. Finlay with the discovery of the yellow fever vector, and thus how it might be controlled. Dr. Reed often cited Finlay's papers in his own articles and gave him credit for the discovery in his personal correspondence. The acceptance of Finlay's work was one of the most important and far-reaching effects of the Walter Reed Commission of 1900. Applying methods first suggested by Finlay, yellow fever was eradicated in Cuba and later in Panama, allowing completion of the Panama Canal.